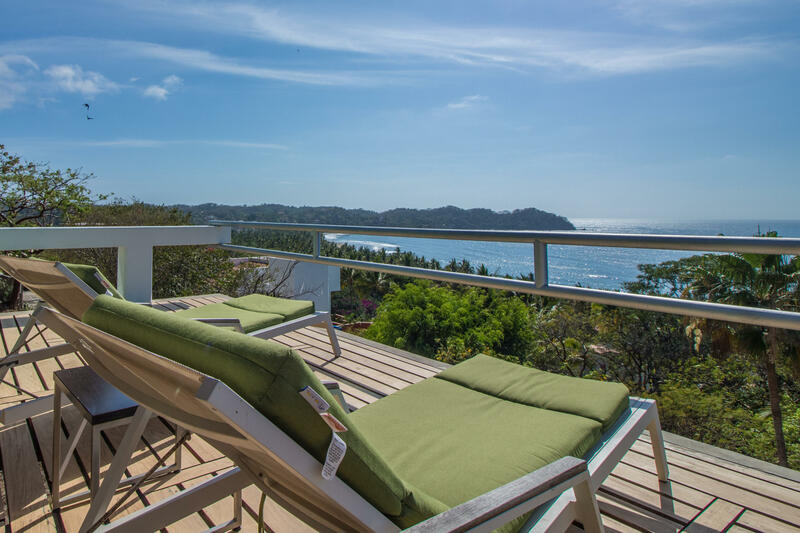 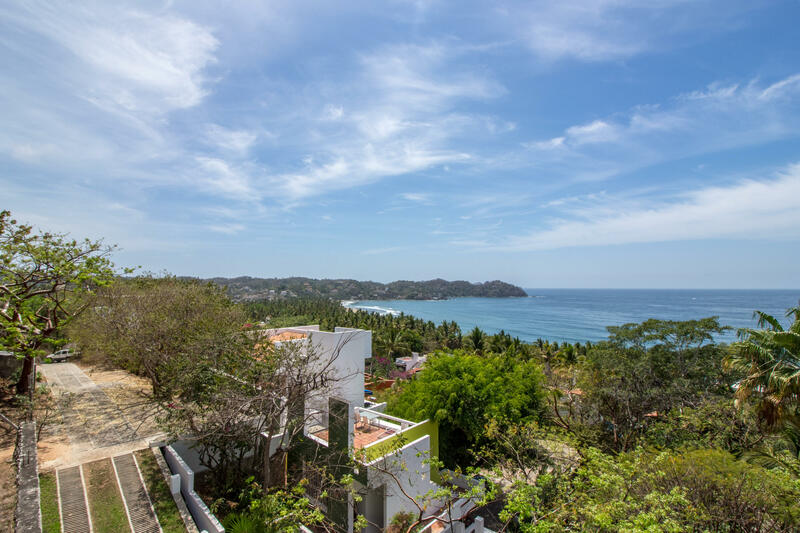 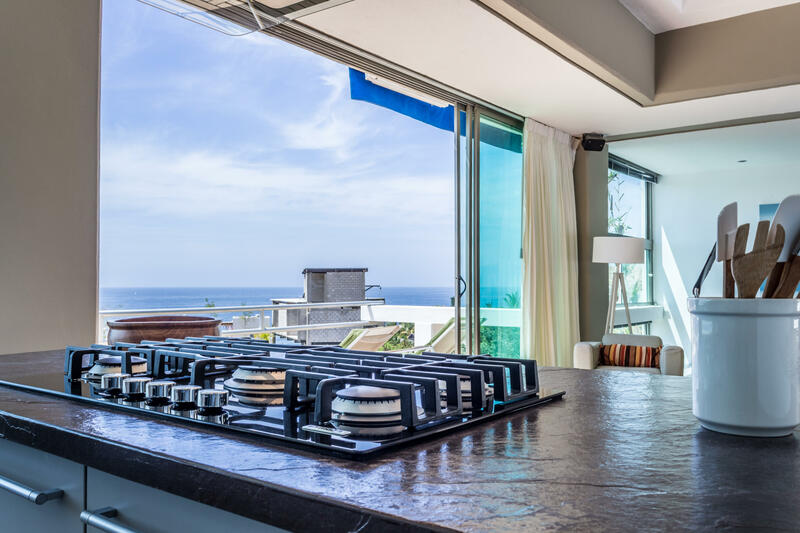 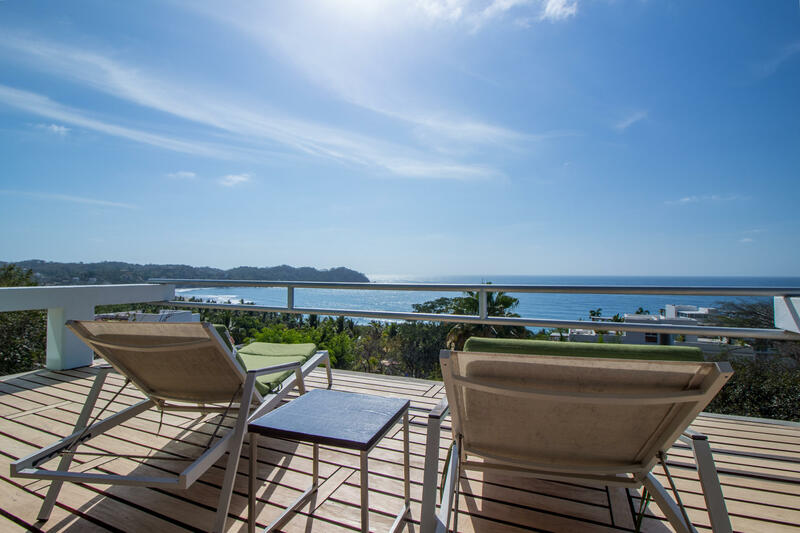 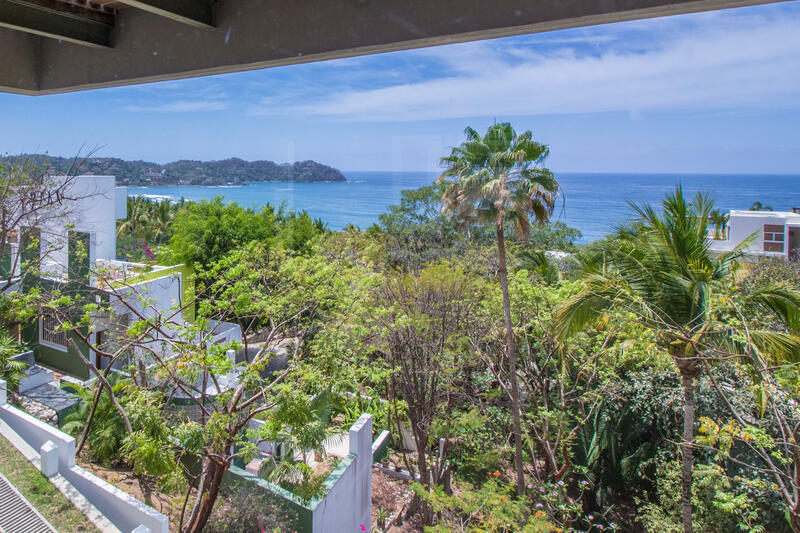 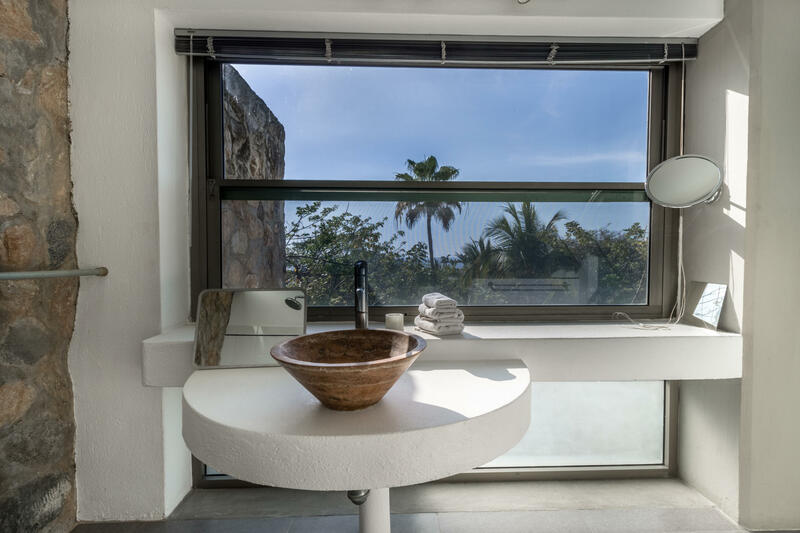 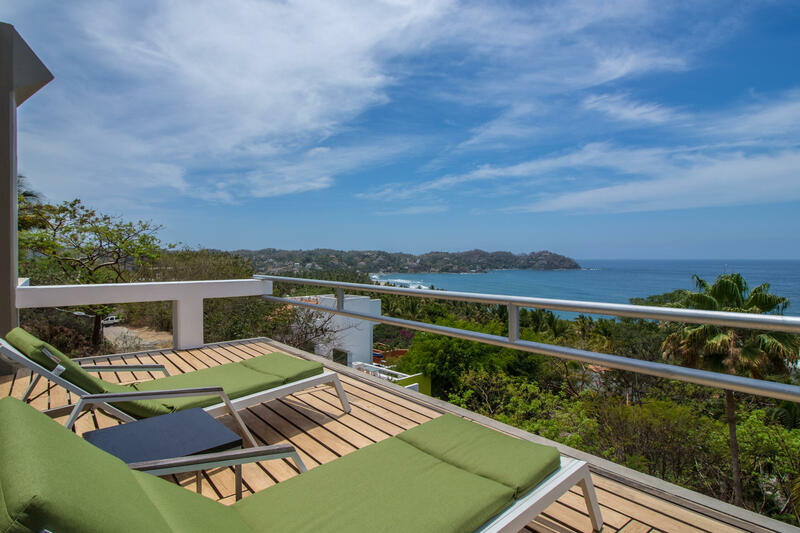 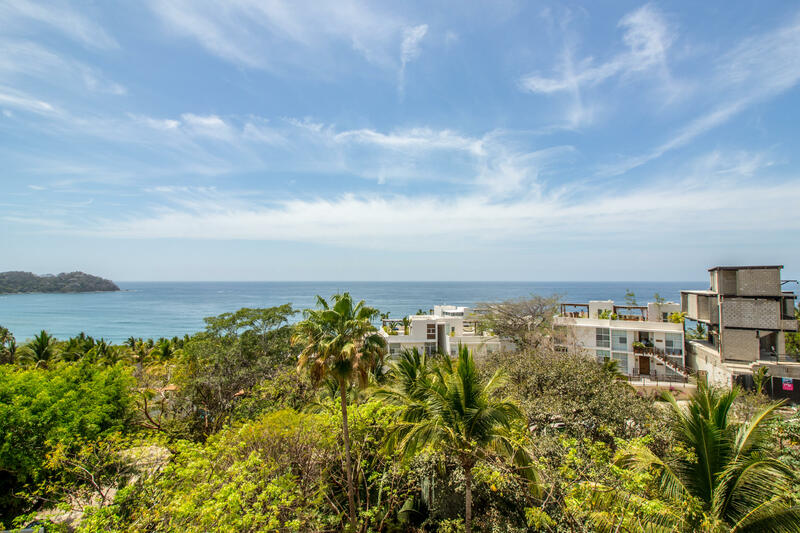 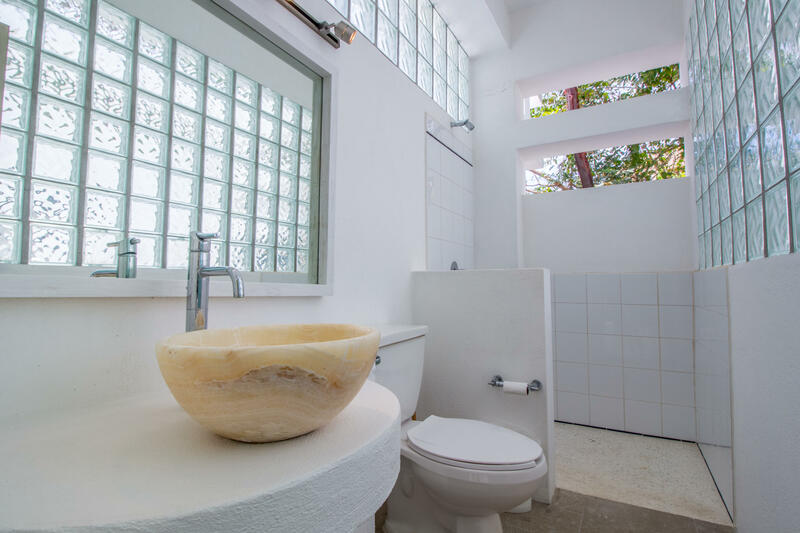 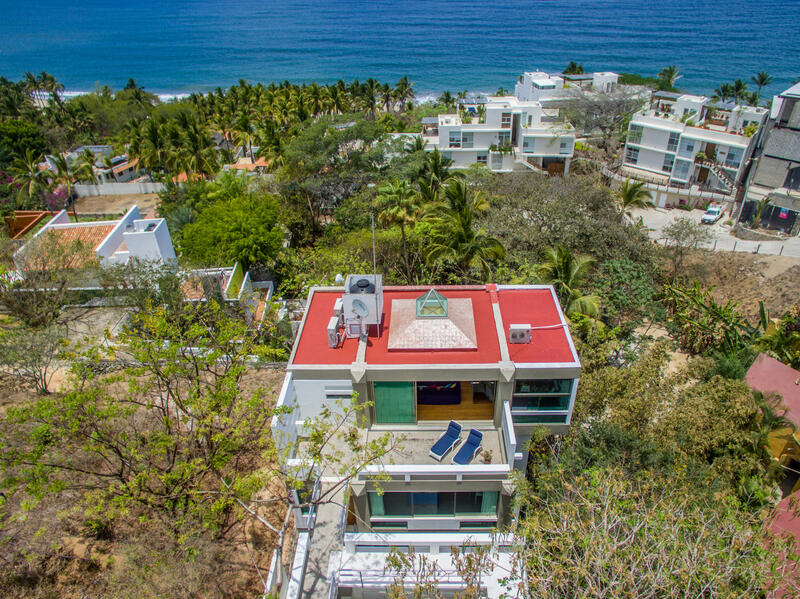 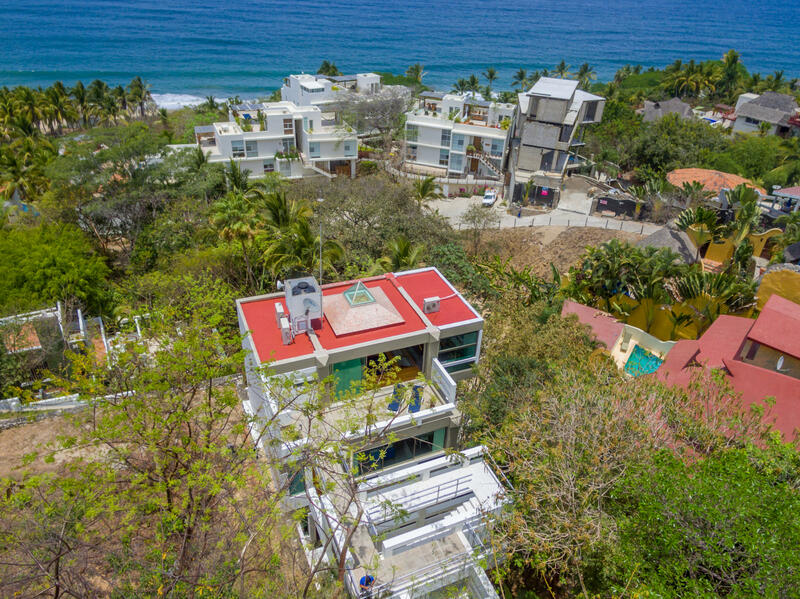 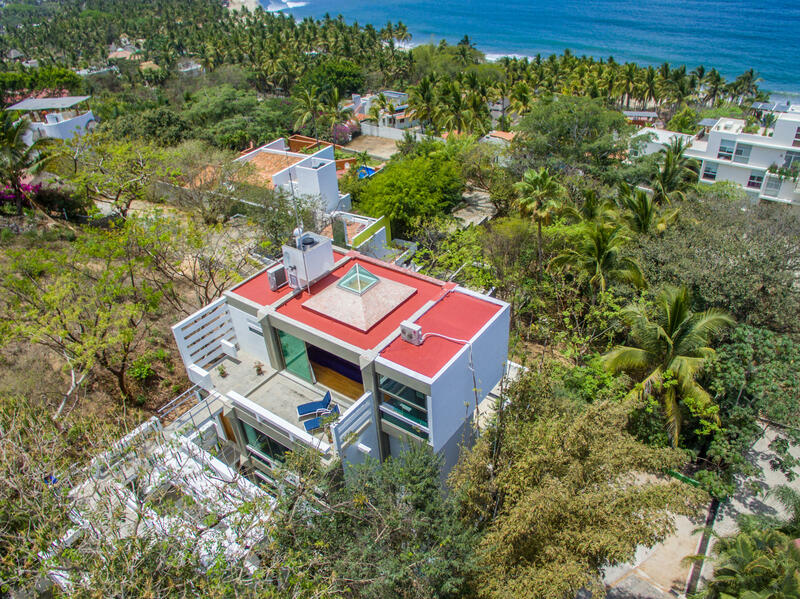 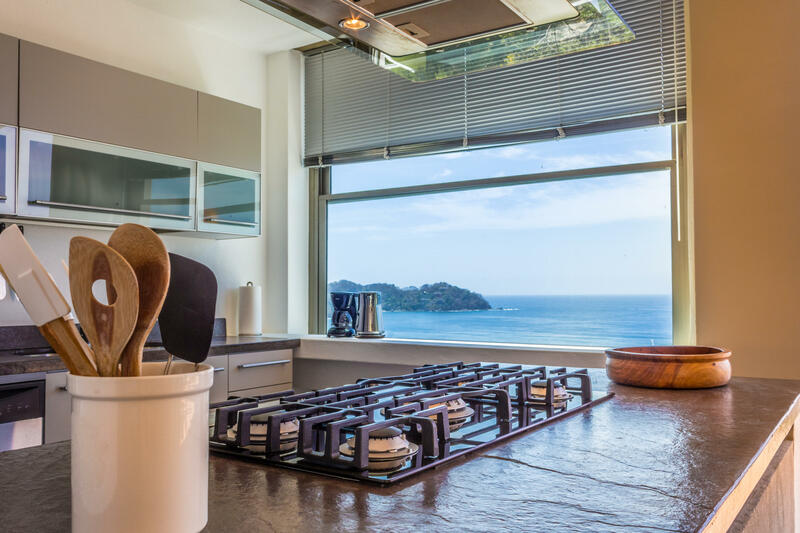 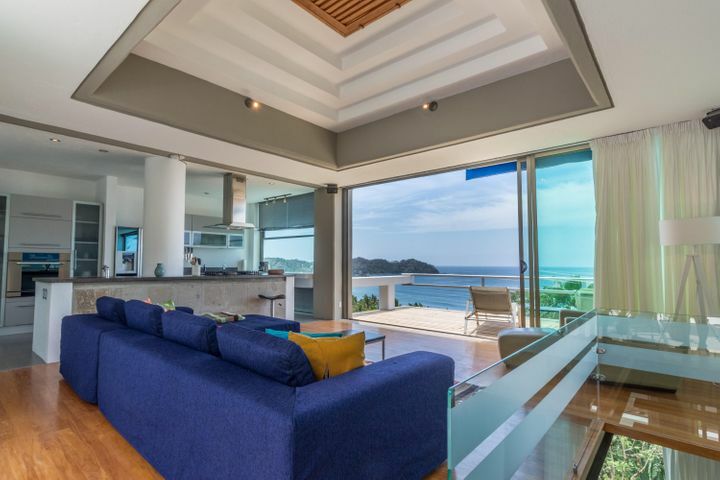 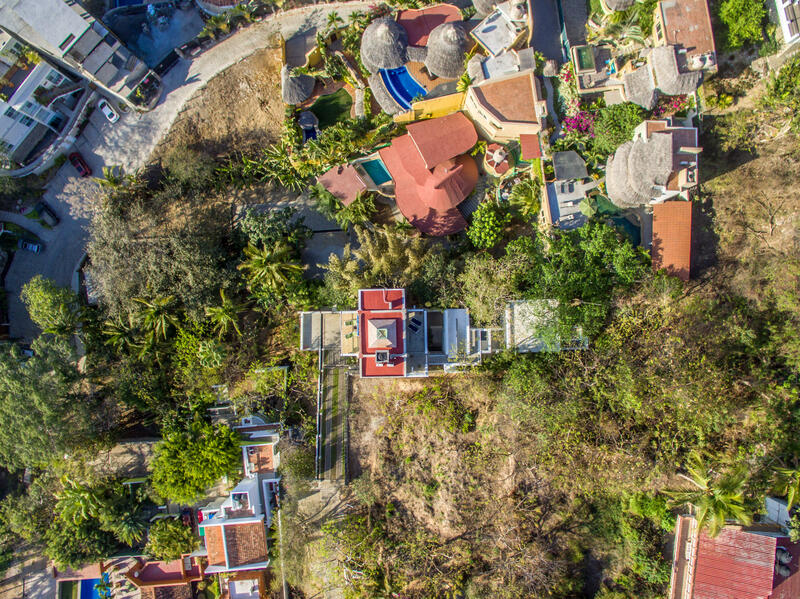 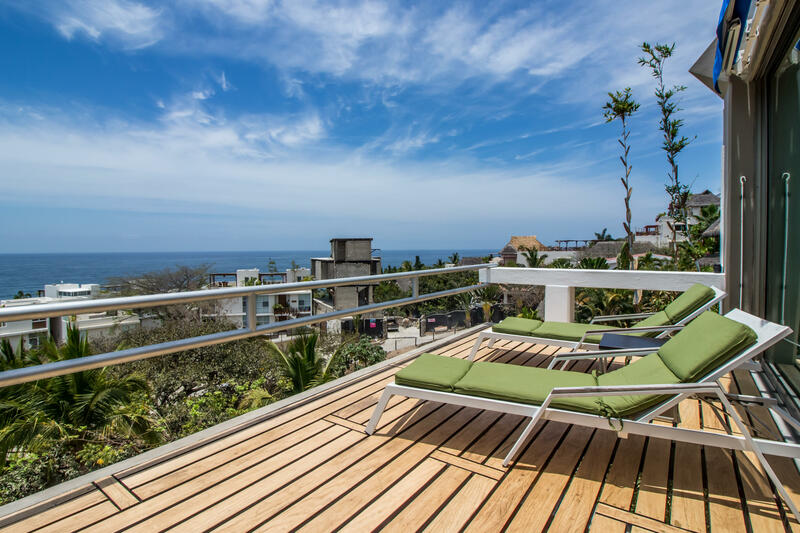 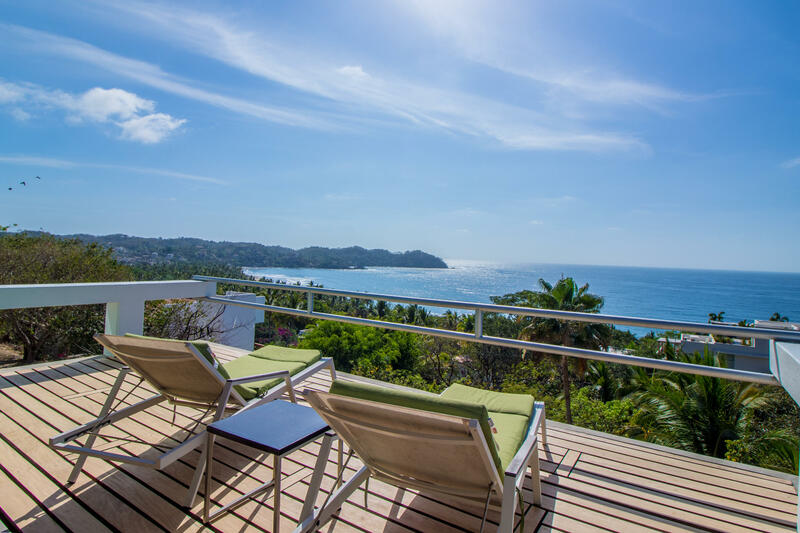 Espectacular Ocean views of Sayulita Bay, town and jungle. 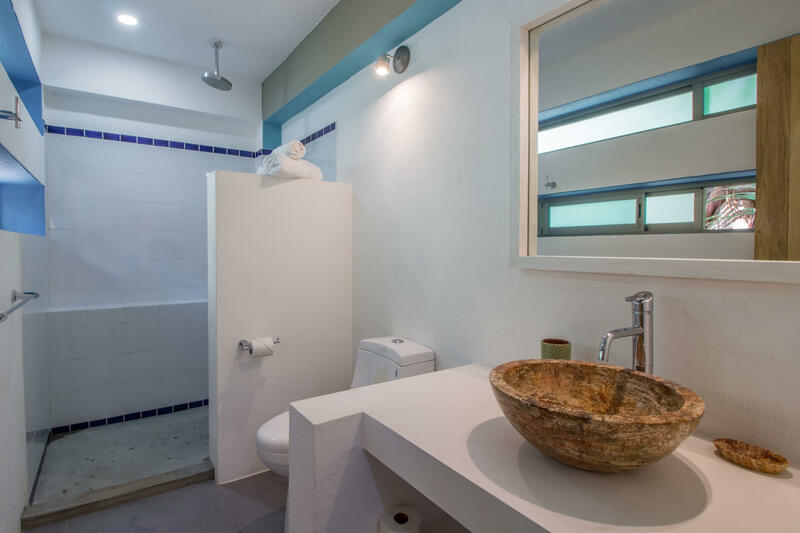 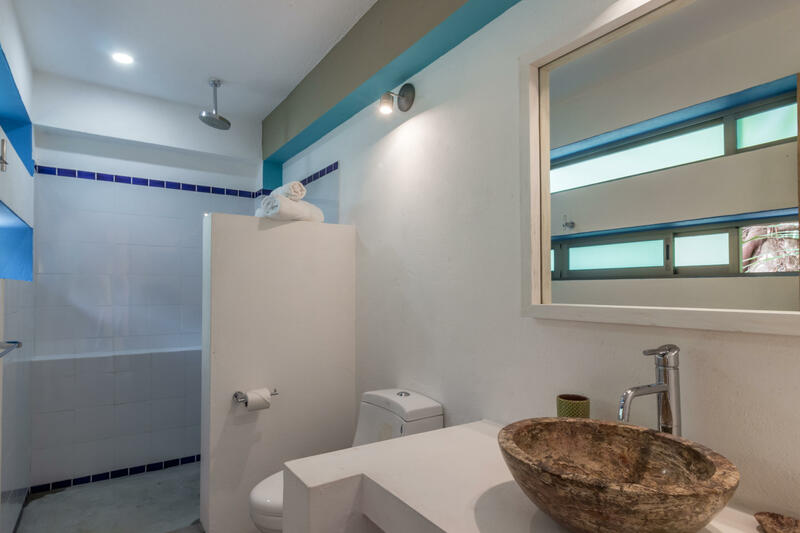 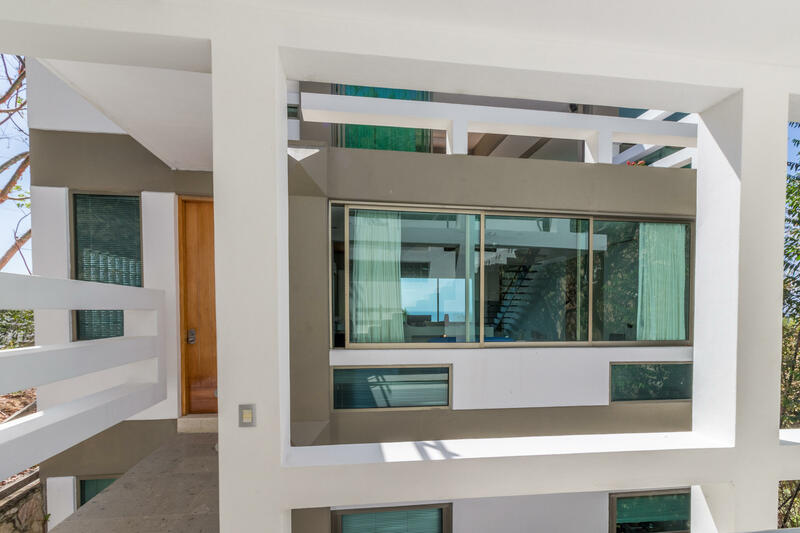 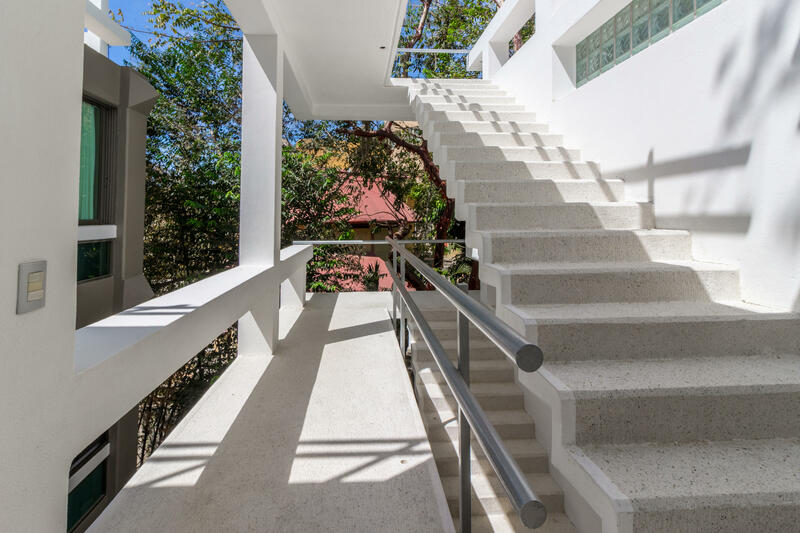 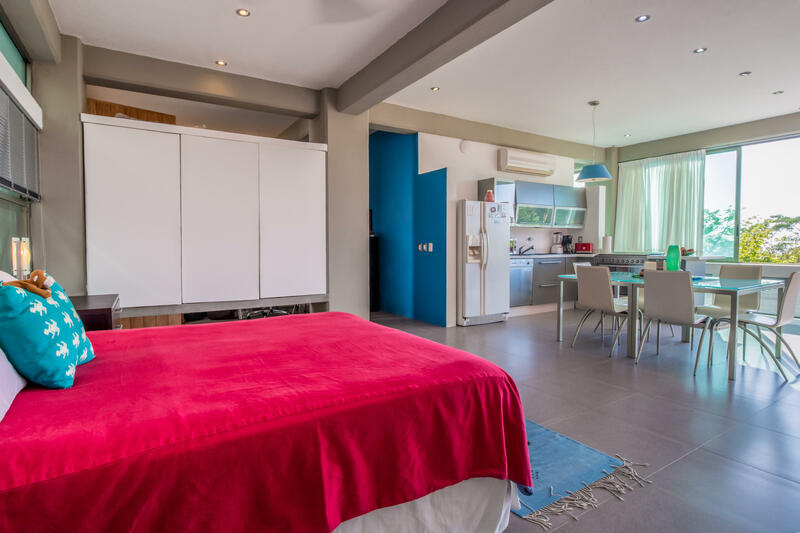 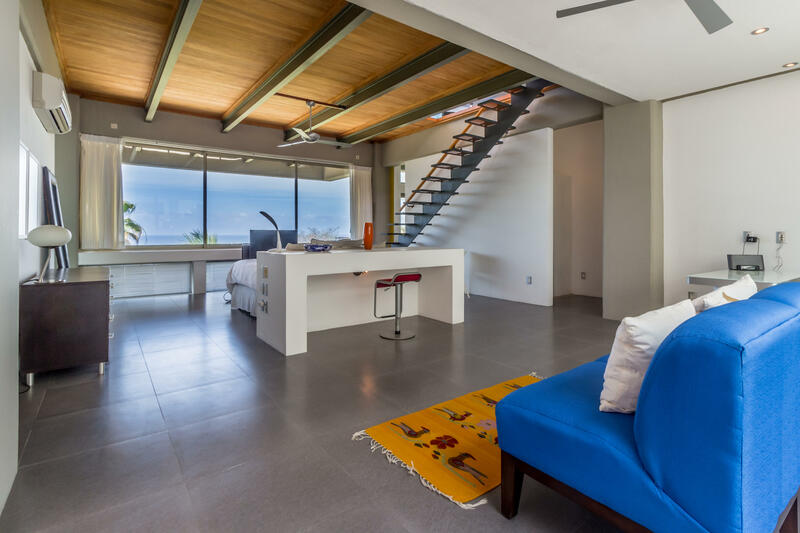 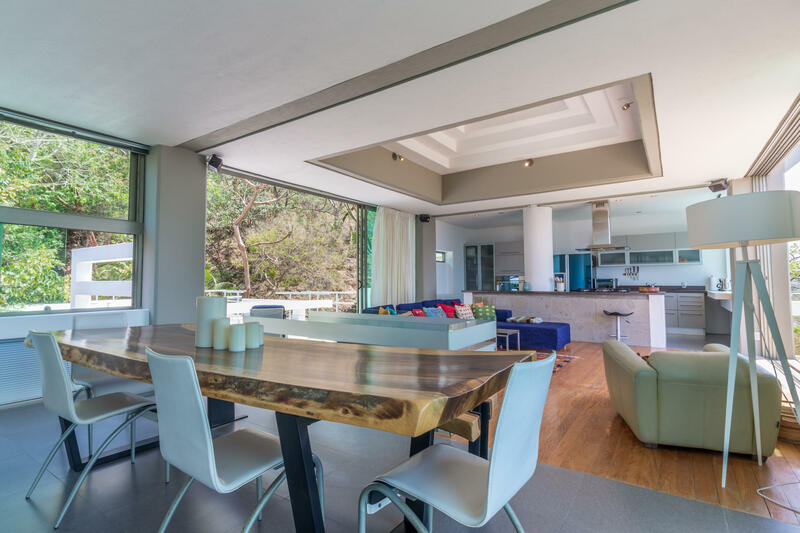 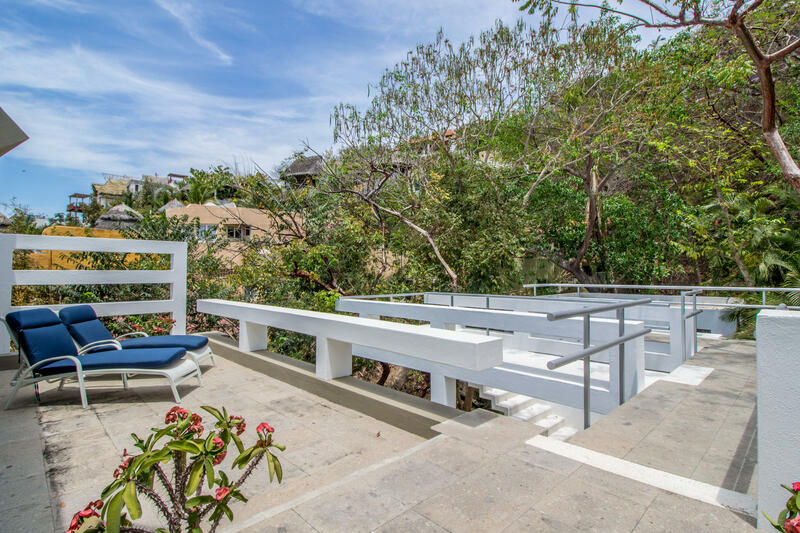 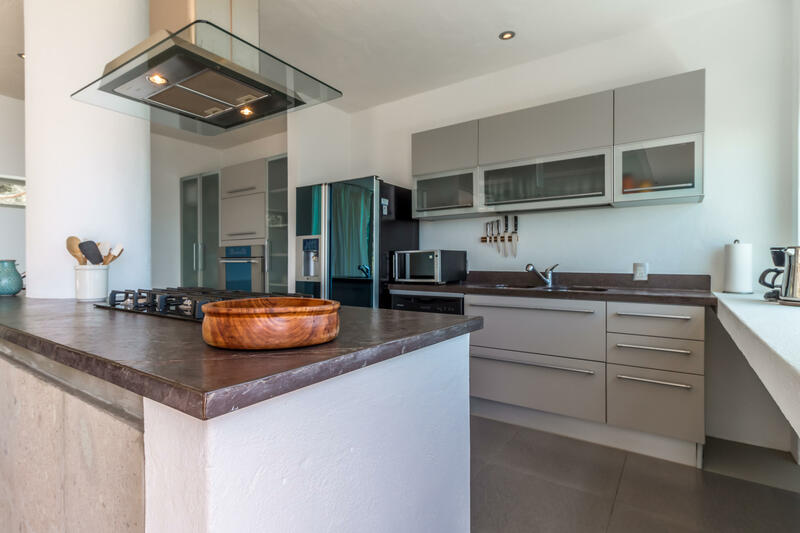 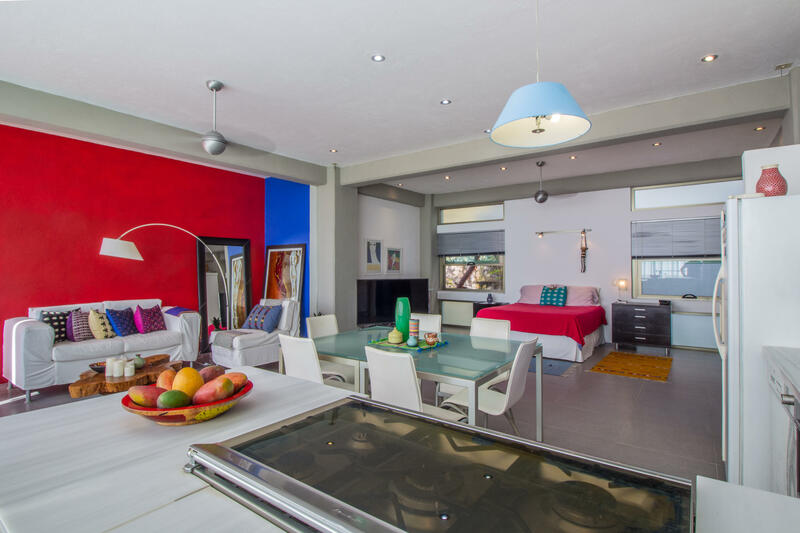 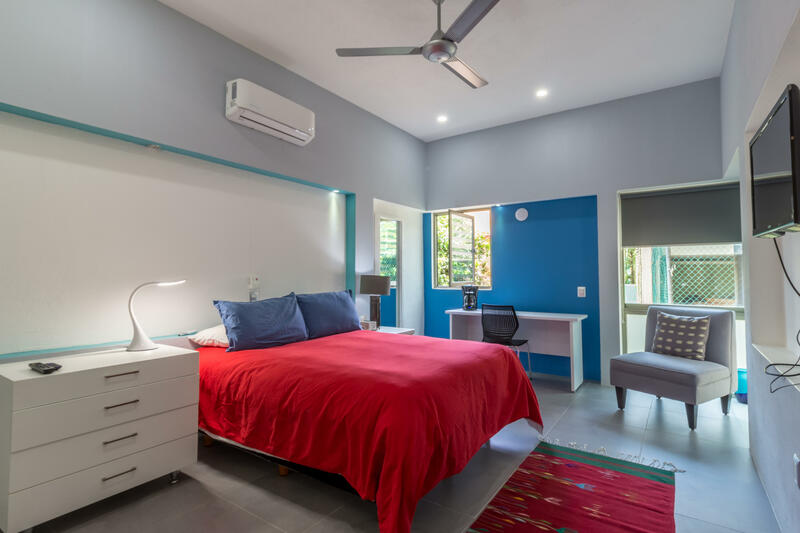 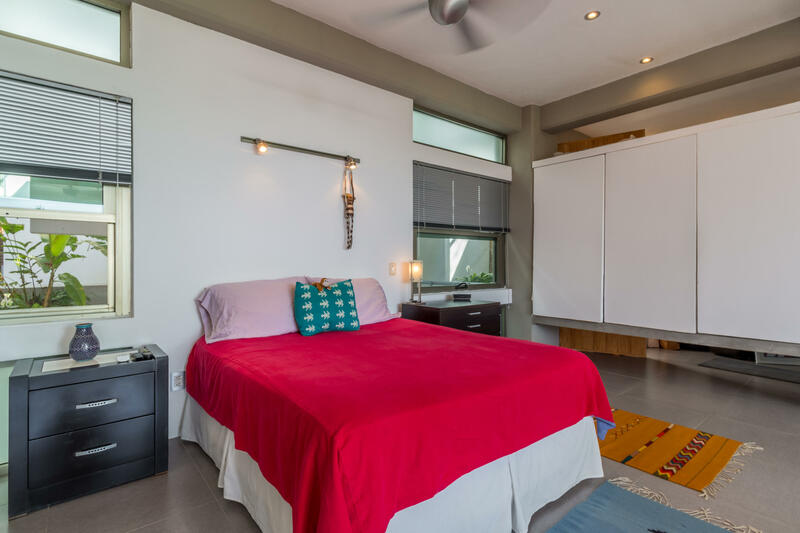 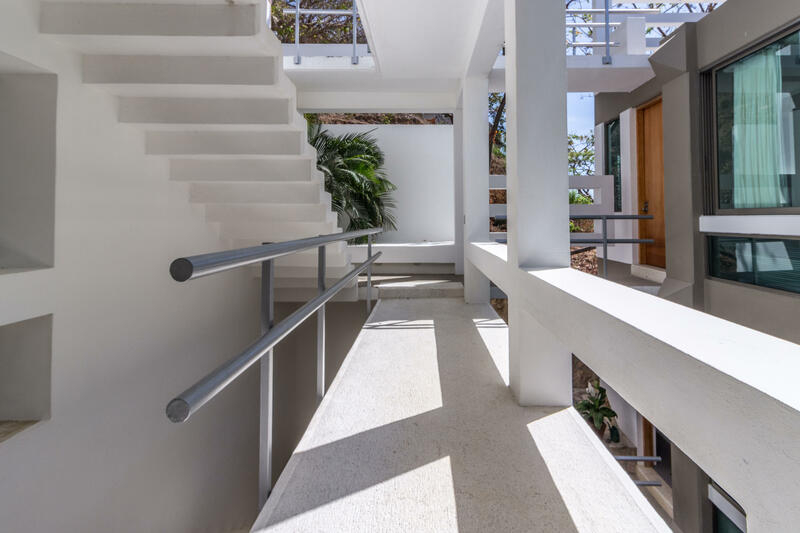 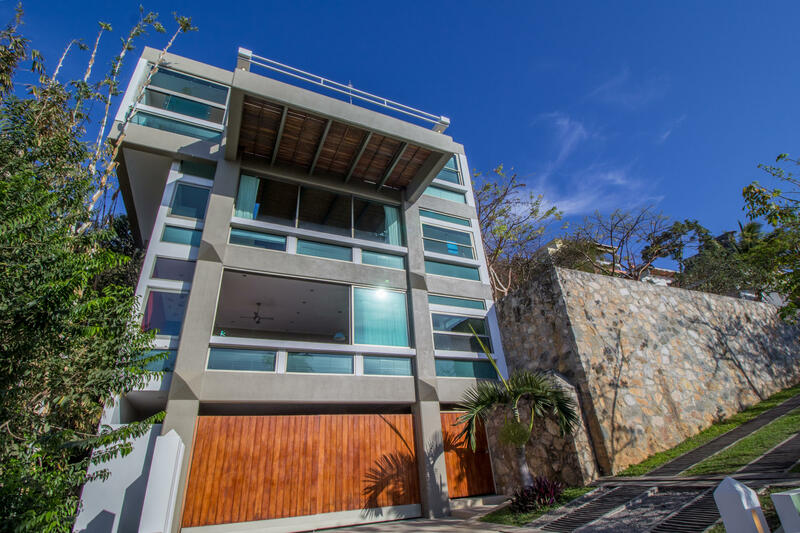 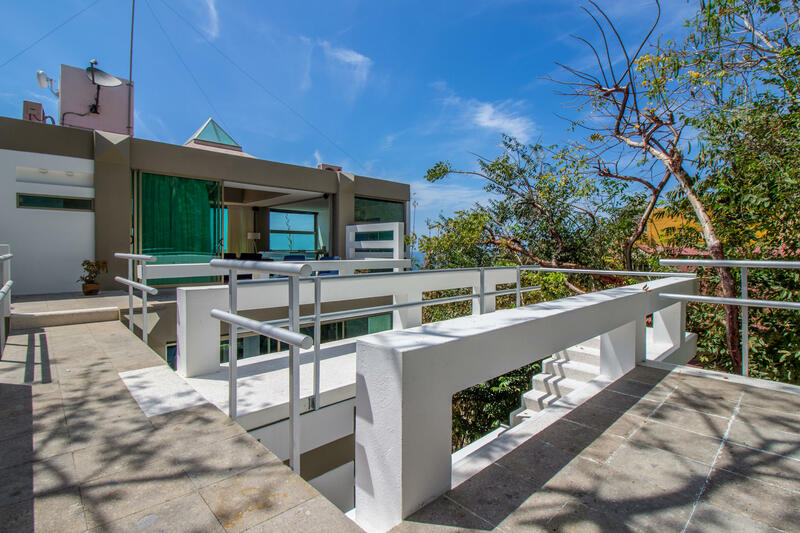 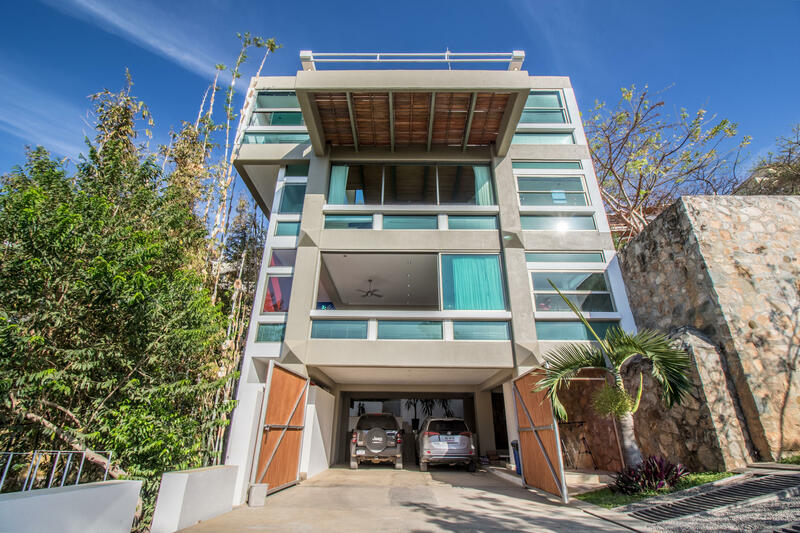 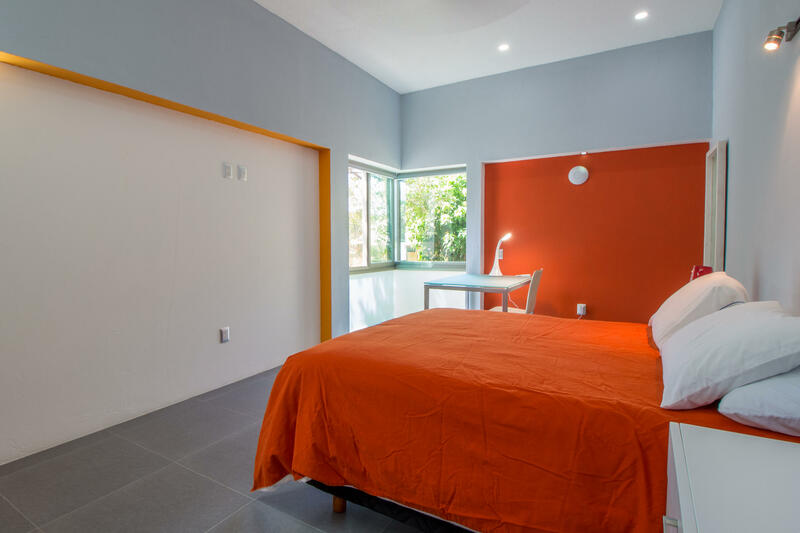 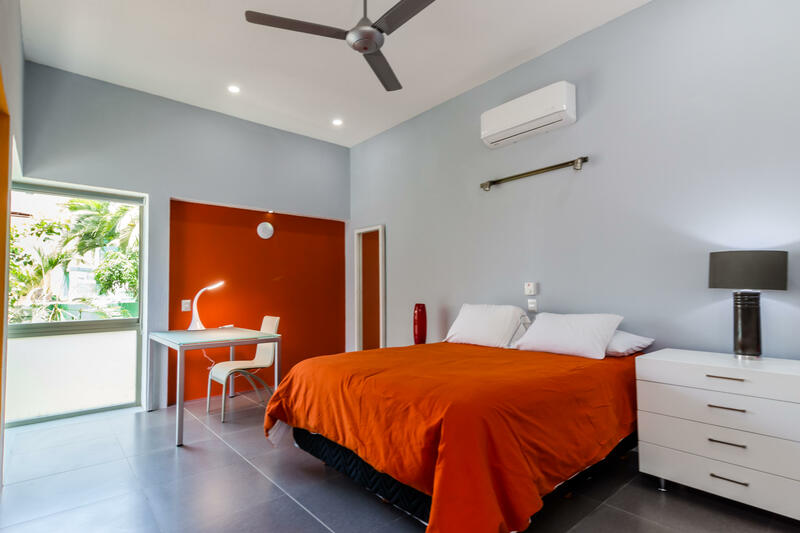 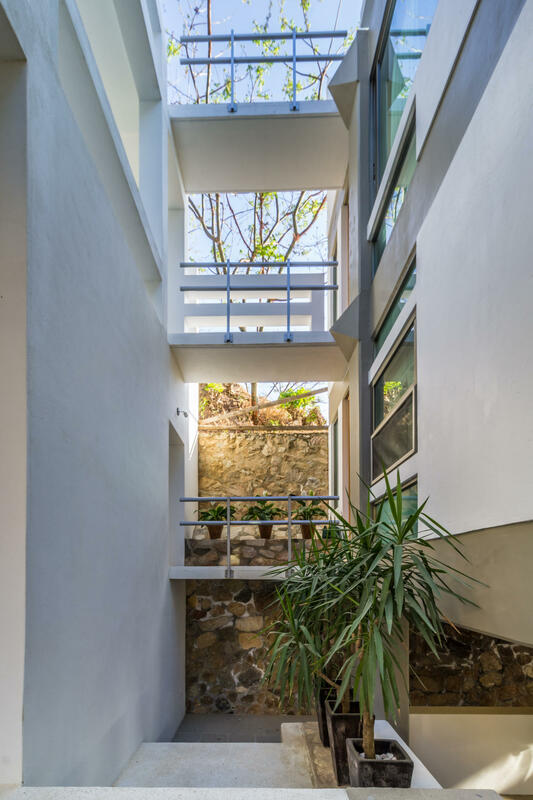 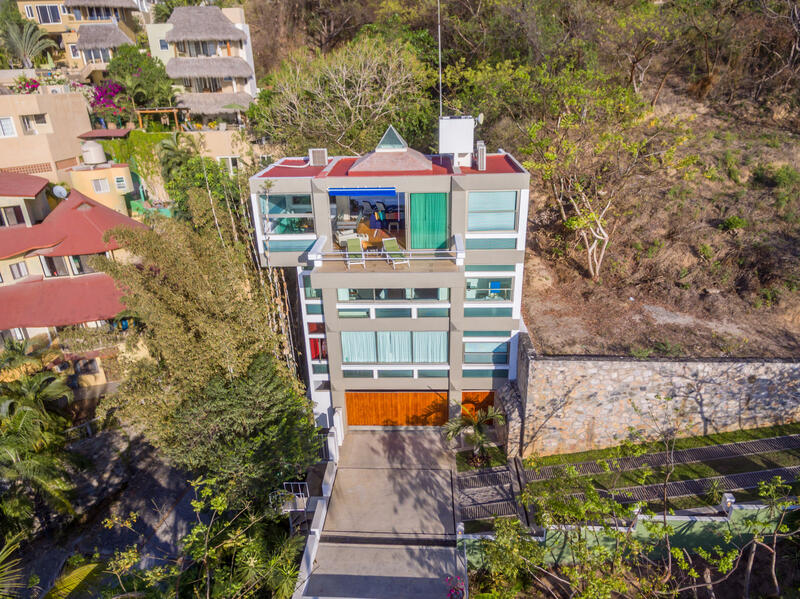 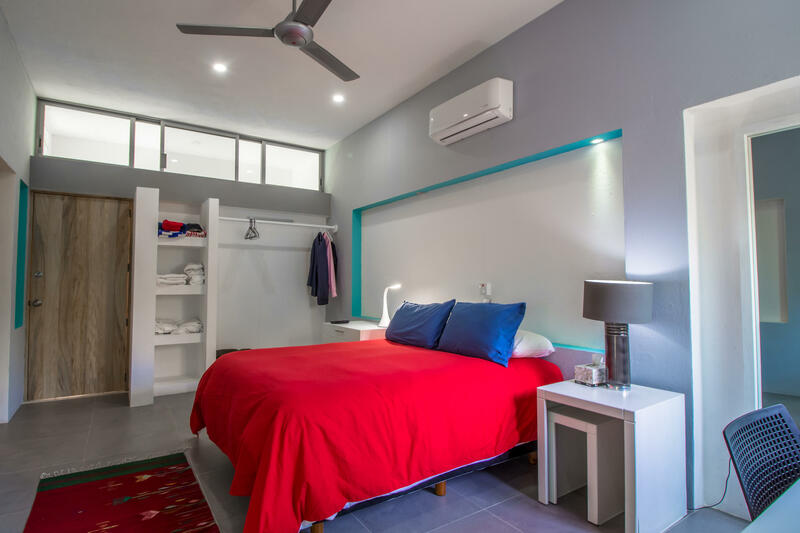 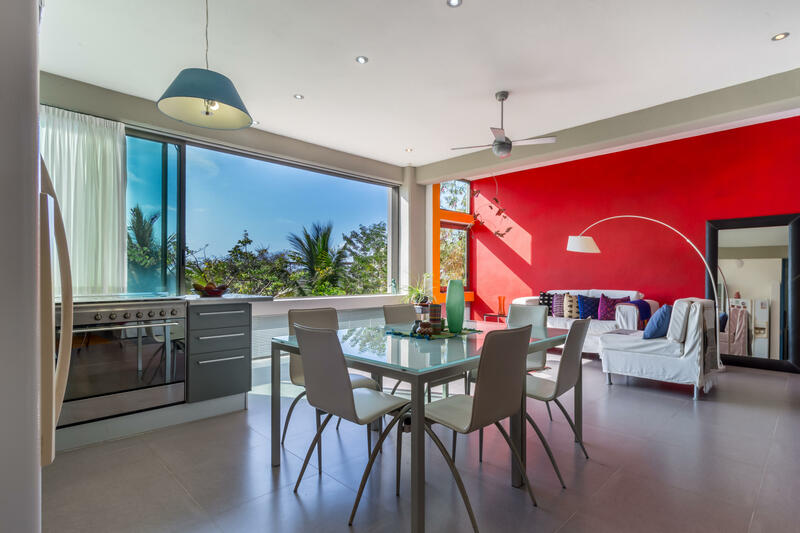 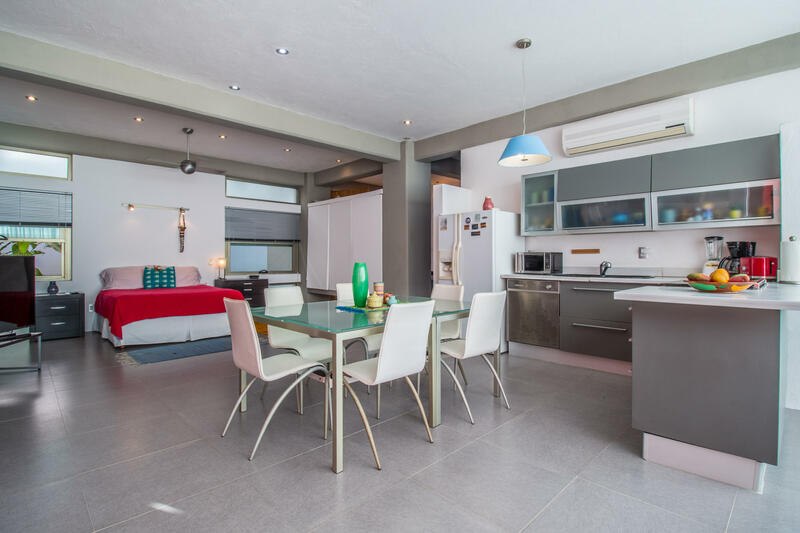 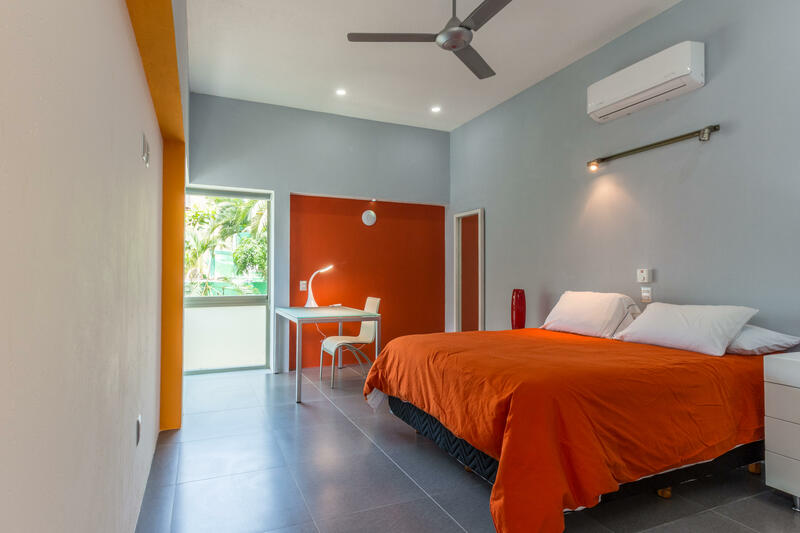 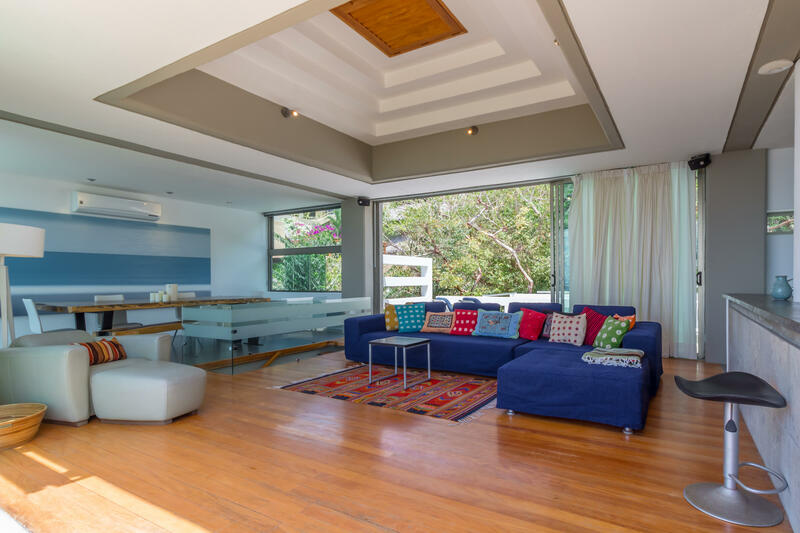 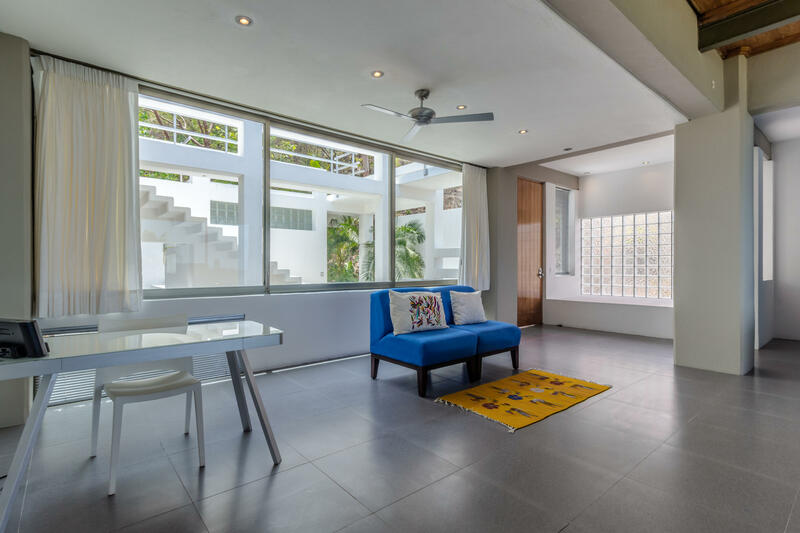 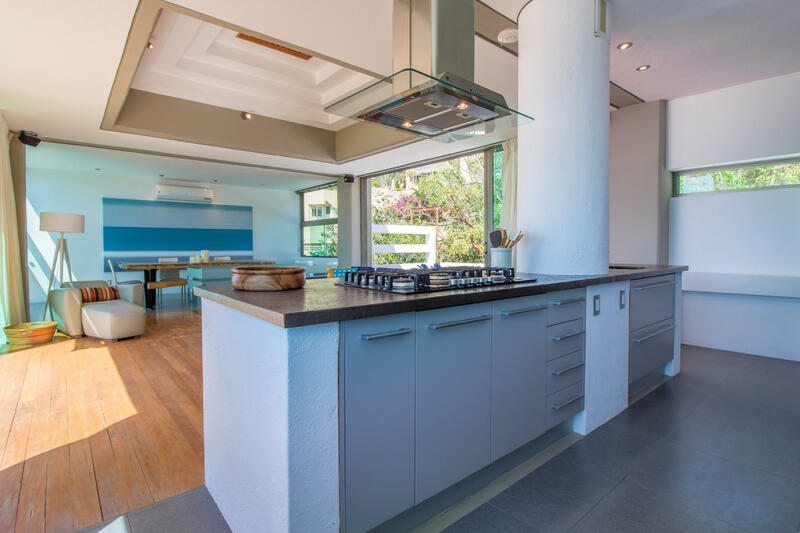 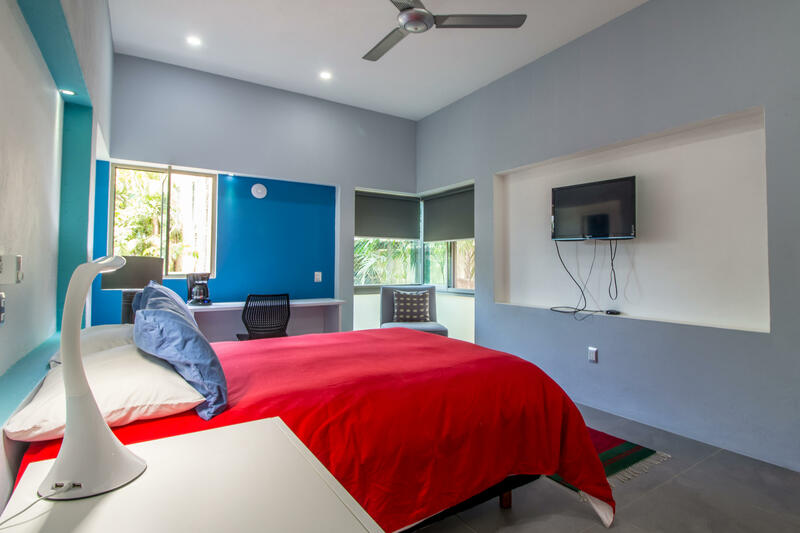 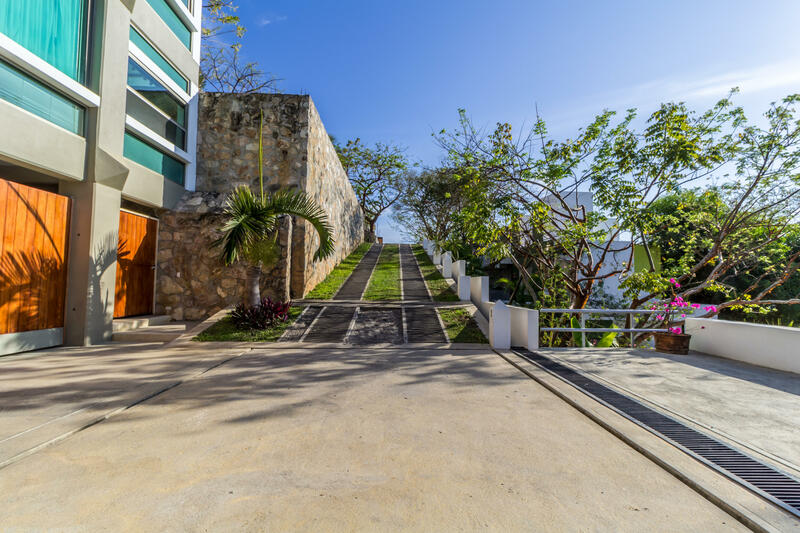 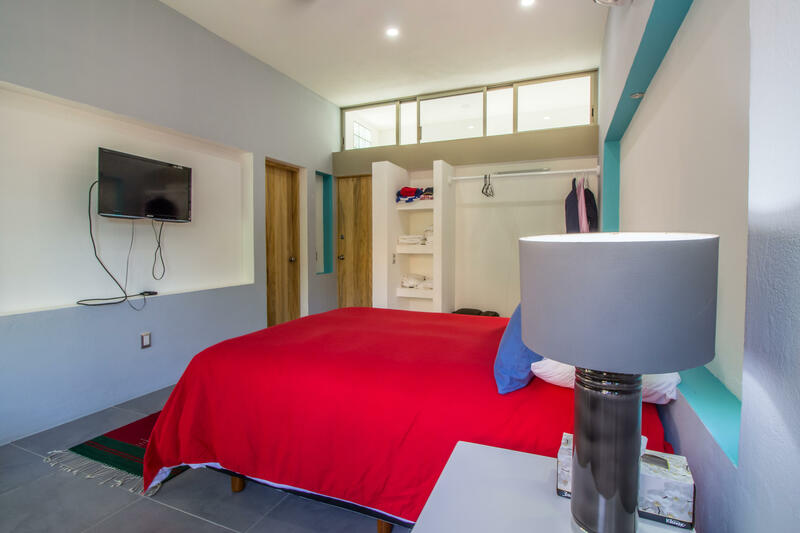 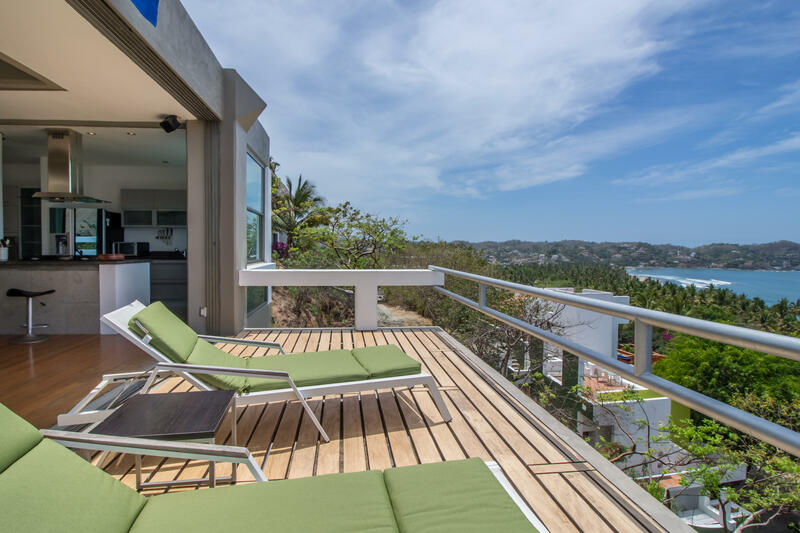 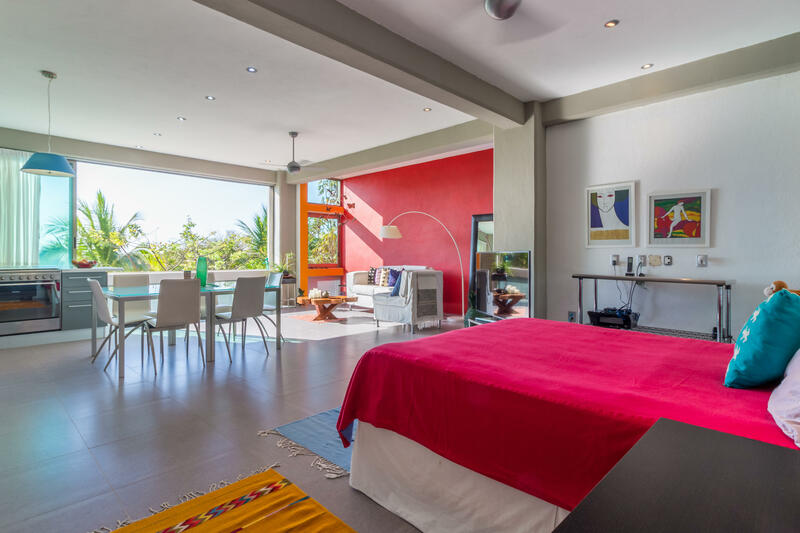 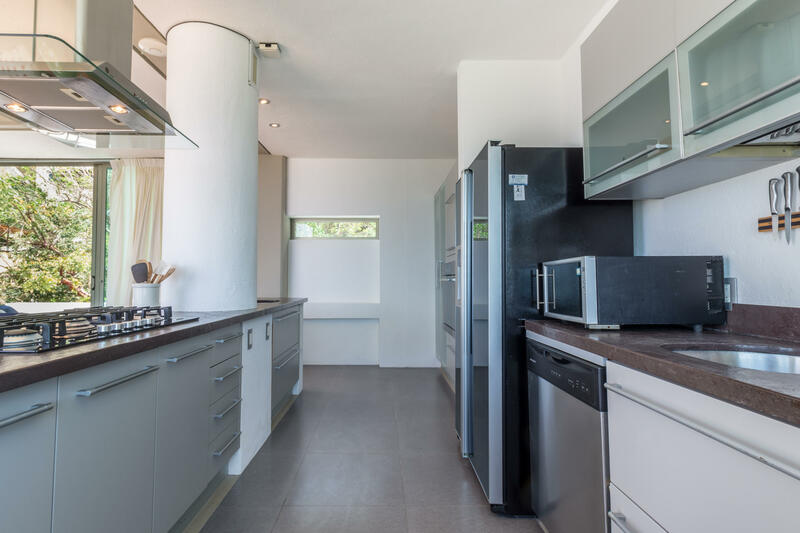 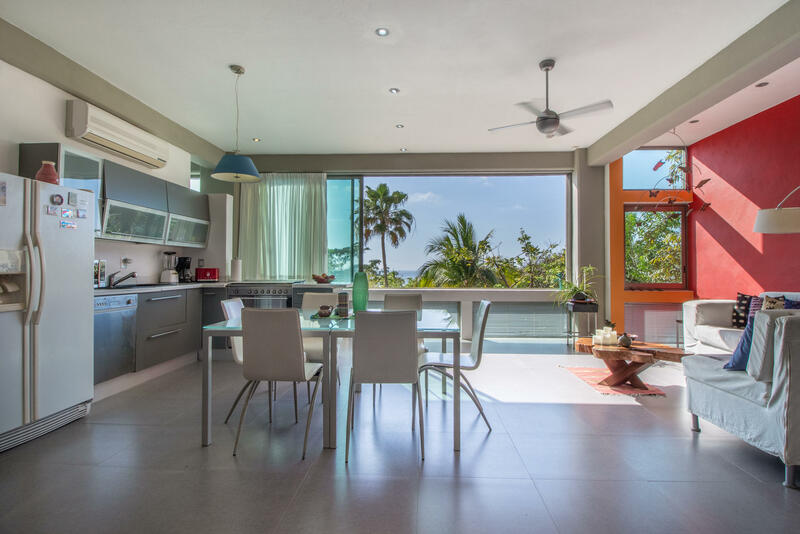 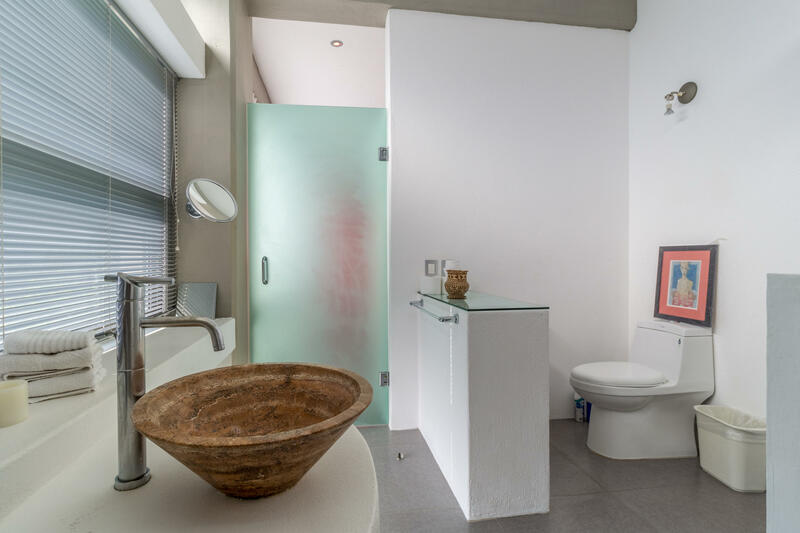 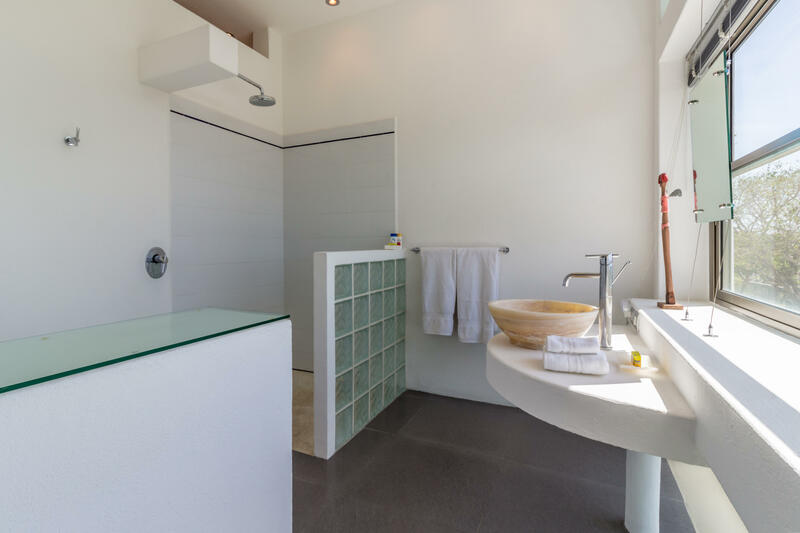 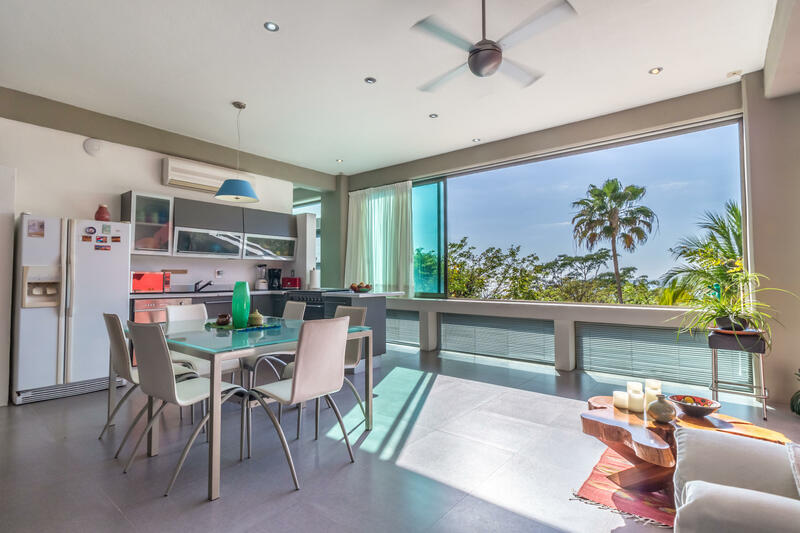 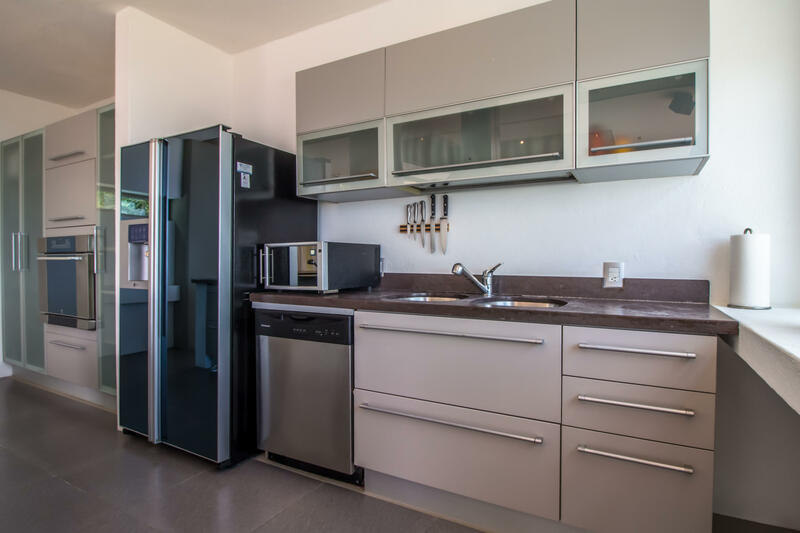 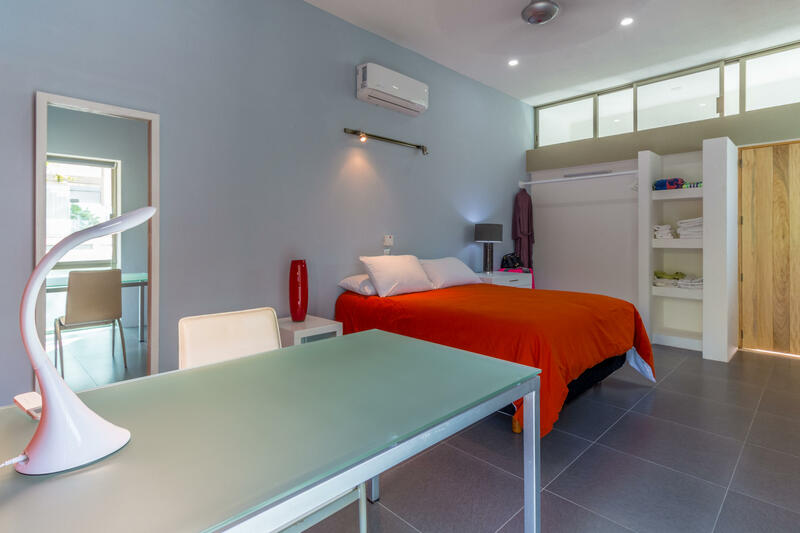 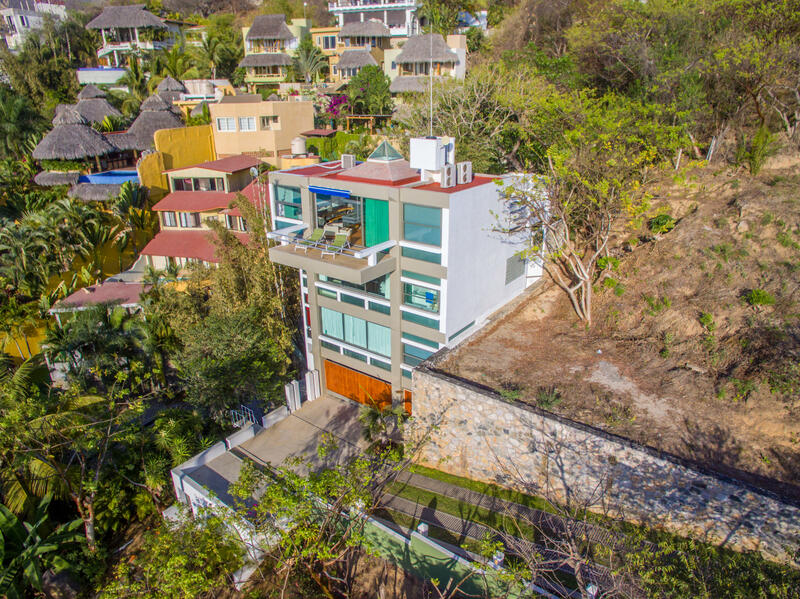 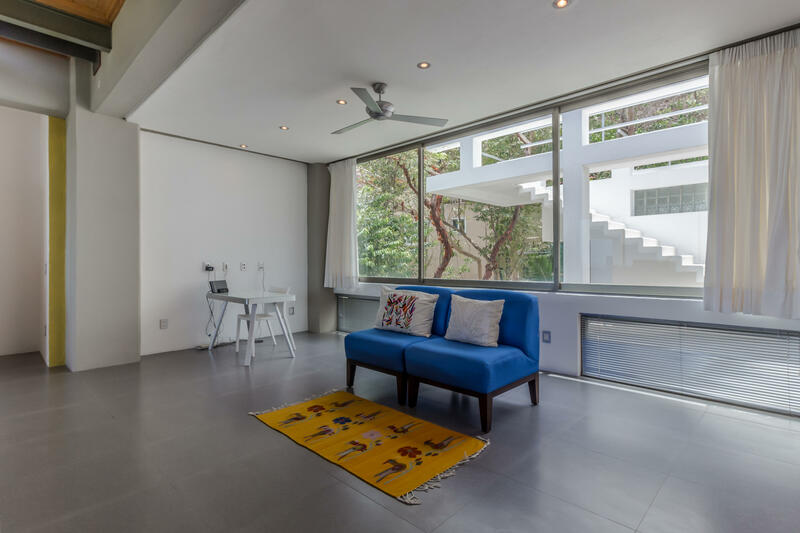 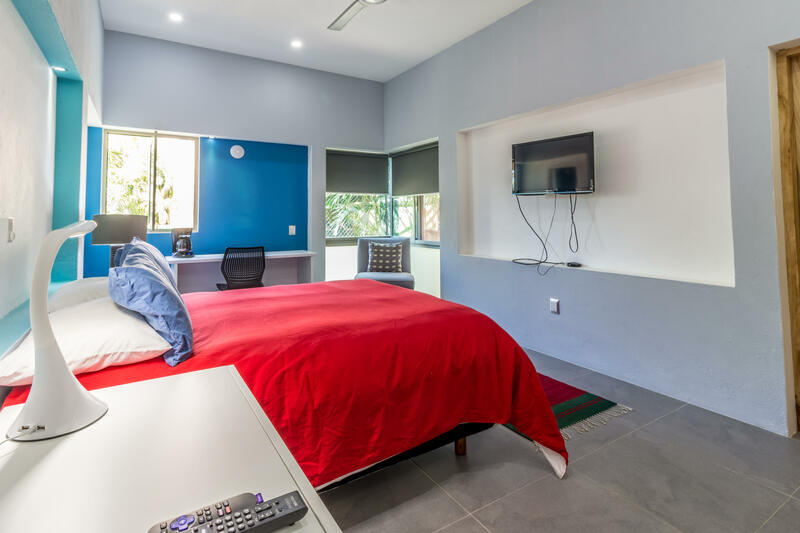 This modern home is nestled against the mountain in the quiet idillic North side of Sayulita just two blocks away from the beach. 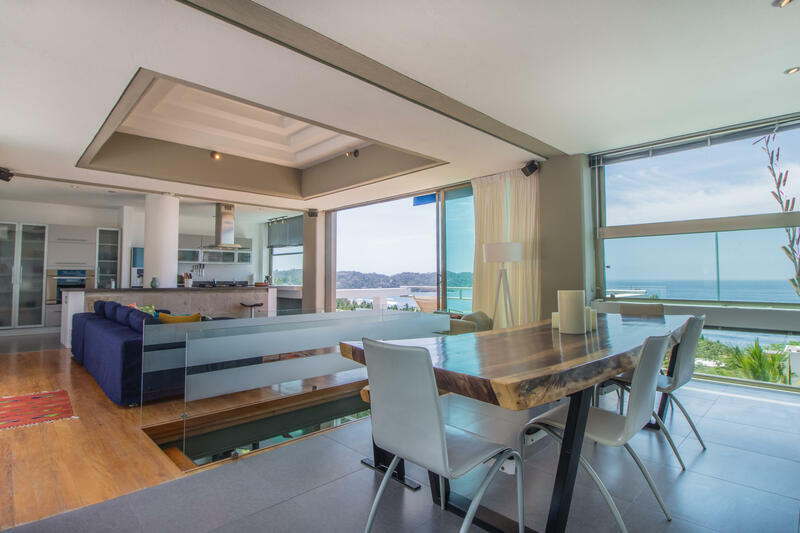 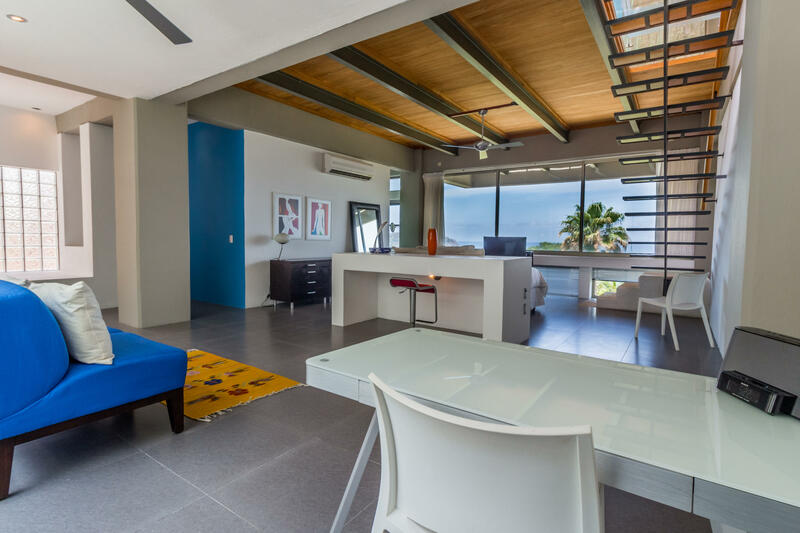 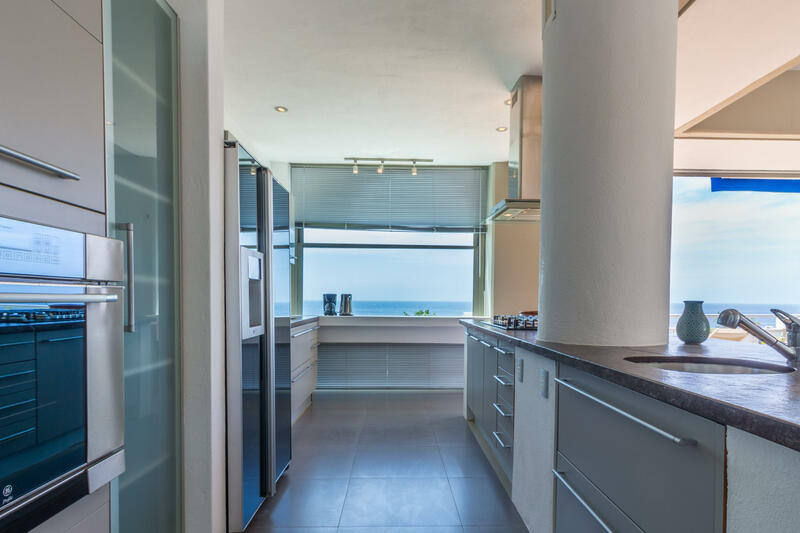 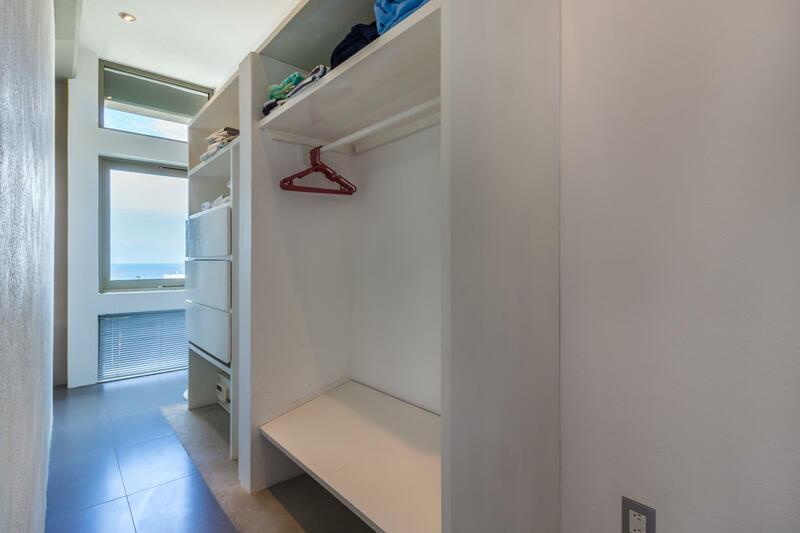 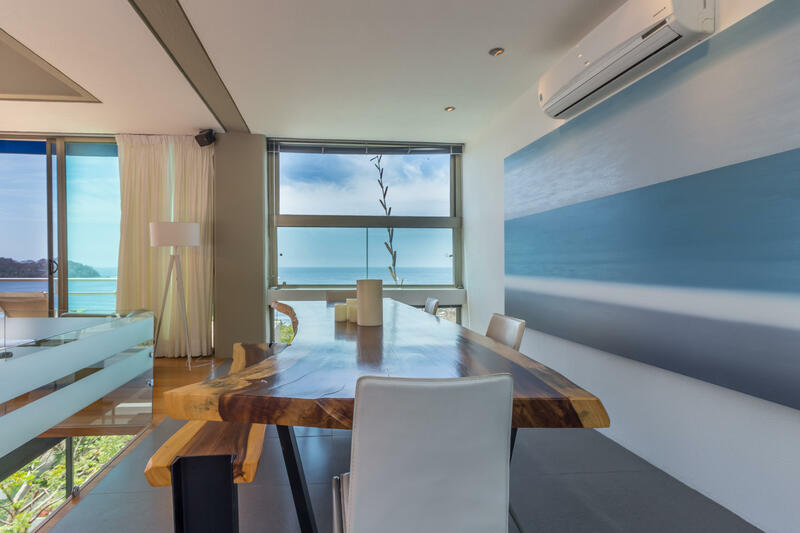 This fantastic home has a cantilevered terrace that perches you up to contemplate the bay where the surfers and paddle borders catch the waves. 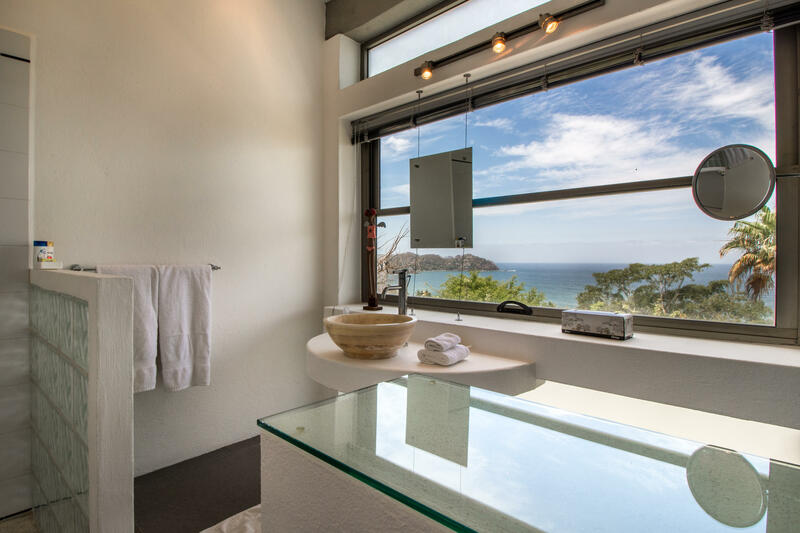 This is also an ideal place for whale and birdwatching. 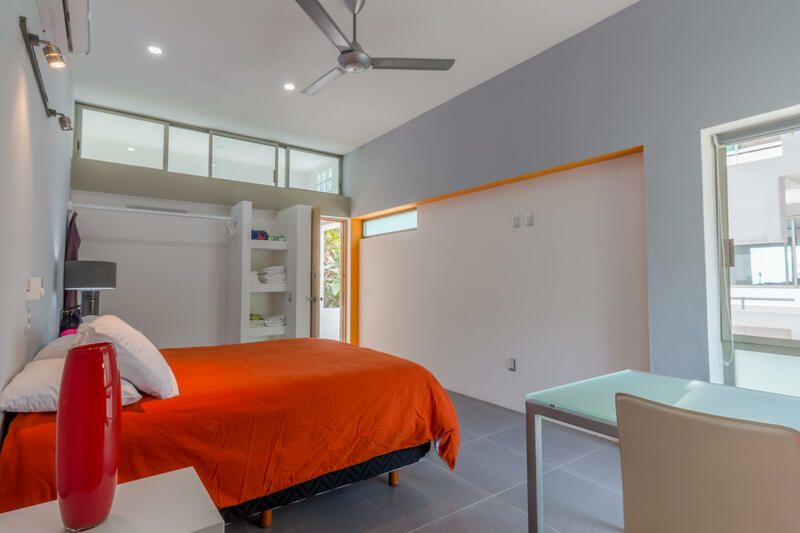 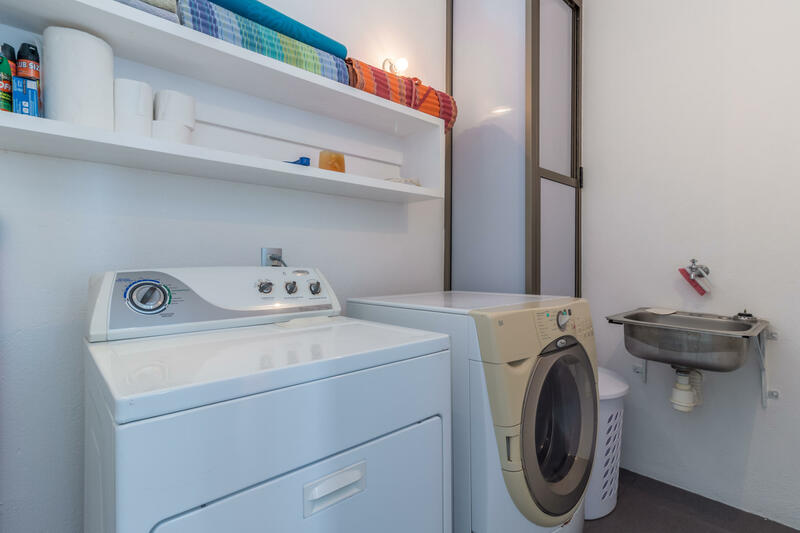 The house is located at the end of the street and has a two car garage and plenty of storage area. 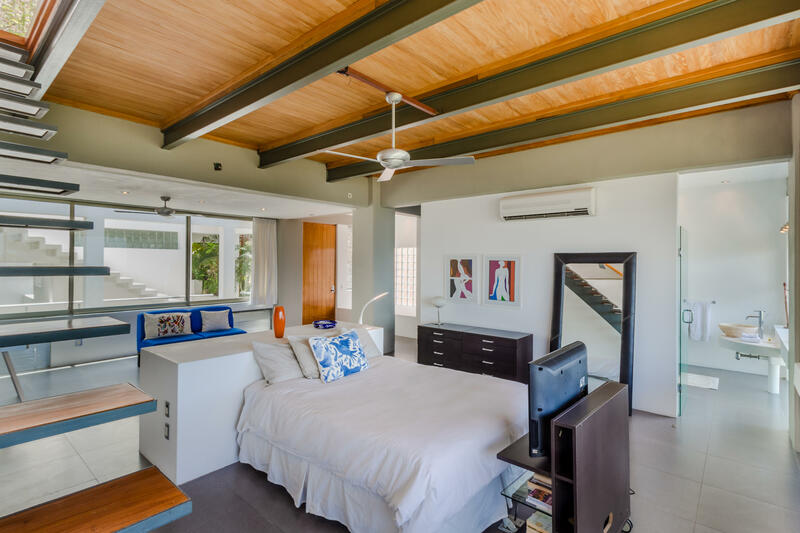 Excellent room to grow and add a swimming pool.